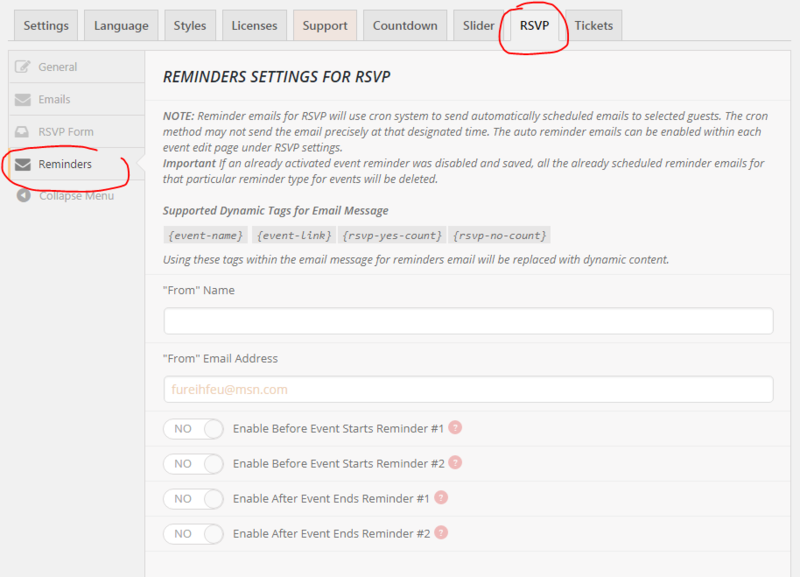 After the Reminders addon is installed and activated, go to EventON Settings > RSVP > Reminders. In here you can enable upto 2 before event start reminder and 2 after event end reminders. Email Subject Line – the subject for the reminder email. If left blank “RSVP Notification” will be used. 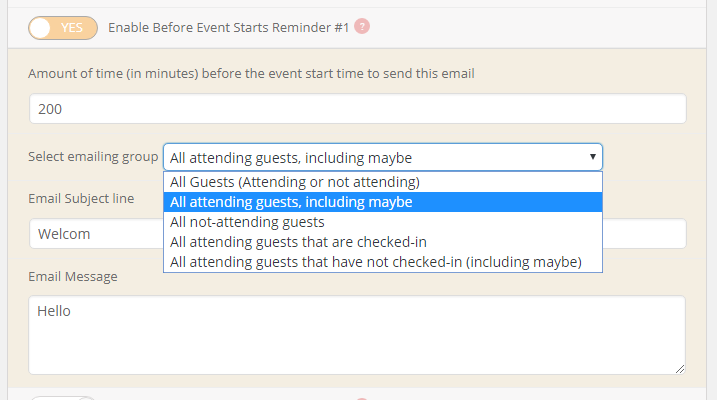 Once the reminders have been set within RSVP settings, you can go to any event with RSVP activated to enable the reminders for that particular event. 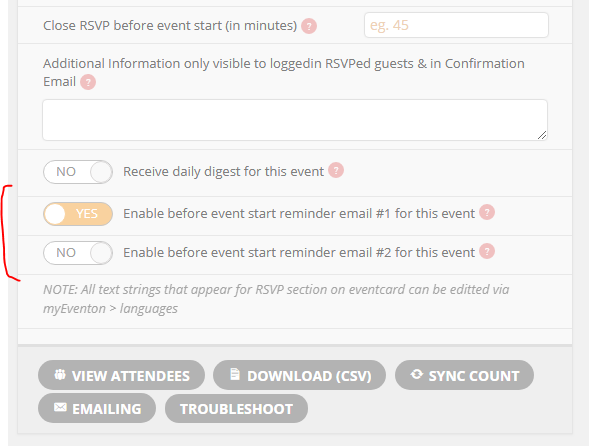 In the RSVP meta box for event edit page you can find the enabled Reminder options. In here you can enable the reminder for this particular event.